Freddy Krueger. a Freddy Krueger foto autographed da Robert Englund. 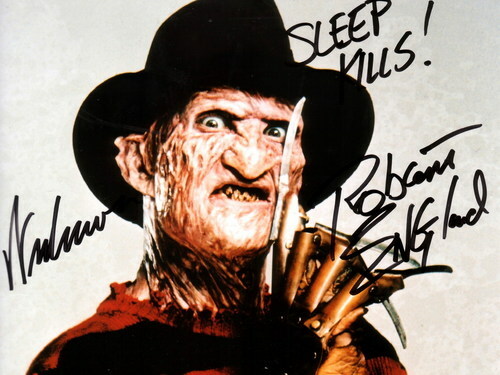 HD Wallpaper and background images in the Freddy Krueger club tagged: freddy krueger robert englund anoes a nightmare on elm street movie autograph photo. This Freddy Krueger photo might contain fedora, cappello di feltro, homburg, stetson, stetson trilby, anime, fumetti, manga, and cartoni animati.